The budget has largely been received favorably by those concerned with the education sector. The focus on developing digital classrooms has received universal appraisal and so has the focus on teacher training and research. New Delhi: Finance Minister Arun Jaitley announced the budget 2018 in parliament today. The budget this year promises to treat education 'holistically' from pre-nursery to Class 12. In the budget, the Finance Minister announced 1000 PM fellowships for engineering graduates for research at IITs and IISERs. The government has also resolved to make digital boards available in all classrooms by 2022. A major initiative named "Revitalising Infrastructure and Systems in Education (RISE) by 2022" with a total investment of Rs.1,00,000 crore in next four years was also announced. The budget also focuses on the quality of teacher training. The budget has largely been received favorably by those concerned with the education sector. The focus on developing digital classrooms has received universal appraisal and so has the focus on teacher training and research. We talked to some experts including educators and those in administration about their views on the Union Budget specific to education. Dr R Theyvendran, MDIS Secretary-General, said, "From an education perspective, the Union Budget proposals for 2018 - 2019 look progressive. One conspicuous highlight is its focus on enhancing the quality of education. For more than a decade now there has been a lot of debate surrounding the quality of education and how to maximise learning outcomes in India". "The Finance Minister Mr. Arun Jaitley's focus on using digital technology for enhancing the scope of the sector is bound to be a game changer in the country's education system. The start of an integrated B. Ed. program with teachers training as the main focus will ensure better educationists, which in turn will ensure better quality students and a more responsible education structure. The proposal to invest Rs. 1 lakh crore over the next 4 years for a new drive to boost Research and Development is laudable, and will go a long way in bringing in more professional education modules. The biggest driver in the sector will undoubtedly be the thrust on moving from 'black boards to digital boards' with increased emphasis on technology and digital intensification," he added. Commenting on the Union Budget, Fr. E. Abraham S.J., Director, XLRI- Xavier School of Management, said, "Setting up more Eklavya schools for tribal children and allocating funds for migrating from blackboard to digital board and most importantly treating education holistically with integration of "class 2 to class 12" are steps in the right direction and will help school-going students in rural and urban India in the long-run, especially as we are increasingly moving towards a digital economy. "Also, the decision to allocate Rs. 1 lakh crore over 4 years for infrastructural upgradation in educational institutions will give a much needed impetus to Research and Development activities in the realm of higher education," Fr. E. Abraham S.J added. However, Prof. K.R. 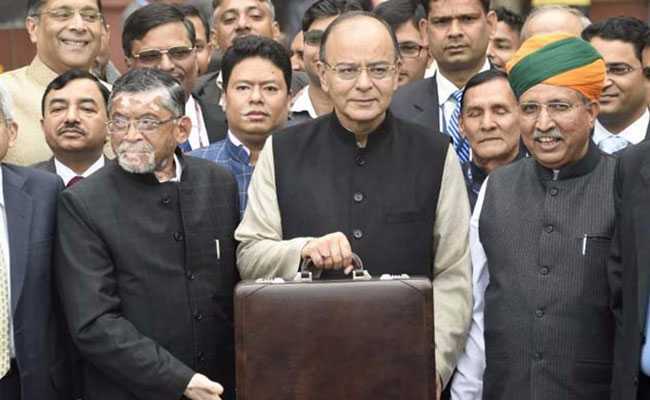 Shyam Sundar, XLRI- Xavier School of Management, did not share the view and called it a dreamy budget and said, "...this is a Dreamy Budget talking high numbers while missing on empirical realities." Col. Gopal Karunakaran, CEO, Shiv Nadar School, acknowledged the fact that the Union Budget addresses the key issue of quality of education in the country and strives to target areas which could yield in making education more quality-centric. He said, "Any educational system should rest on three pillars - Access, Equity and Quality. While India has been able to successfully address the first two with much success over the past several decades, the third pillar of Quality demands attention." He also applauded the introduction of Integrated B.Ed. programme and focus on developing digital classrooms and said, "In regards to improving learning outcomes, the budget has touched upon two key areas --- improvement in quality of teachers and using technology as a key driver in improving the quality of education. It will be further enhanced if a risk-reward system is also introduced providing the teachers' incentive to improve student performance. I also hope the initiative of an integrated B.Ed programme, training of teachers during their service, will yield corresponding benefits in the coming years." Prateek Bhargava, CEO, Mindler also applauded government's efforts to target education outcomes and skill development, "The Government is coming good on its promise of putting education outcomes and skilling upfront. The allocation of Rs 1 lakh crore for improvement of education infra is one of the highlights of this budget... FM's plan to identify 1,000 B.Tech students each year and providing means to pursue PHDs in IITs and IISCs is again a great initiative to drive focus towards research and is in sync with the massive investment of almost 1 lakh crores towards education research. FM's focus on teacher training and digital education is welcomed and was much needed! ... While teacher training is explicitly mentioned in the FM's speech, training on leveraging technology in education across the board has not been defined and this will be critical to see the impact of digitisation of education." Dr. P. Venkat Rangan, Vice Chancellor, Amrita Vishwa Vidyapeetham, Coimbatore, welcomed the focus on research and education in the budget. He said, "The staggering outlay of Rs 100,000 crores to give a fillip to research excellence in premier educational institutes through the new RISE initiative is a very welcome step. India is currently spending less than 1% of its GDP on research. "RISE will go a long way in boosting innovation for flagship programs of the Govt. like Make in India and Digital India. The Government's stated focus on enhancing the quality of education through technology and improving the quality of teachers is also welcome. The 'Prime Minister's Research Fellows' scheme to provide scholarships to 1,000 B.Tech students will help meritorious candidates excel in higher education. We hope all these initiatives will be extended fully to private deemed-to-be universities with a proven track record and contribution in terms of research excellence, innovation and societal engagement, to set up centers of excellence in cutting-edge inter-disciplinary areas," he said.